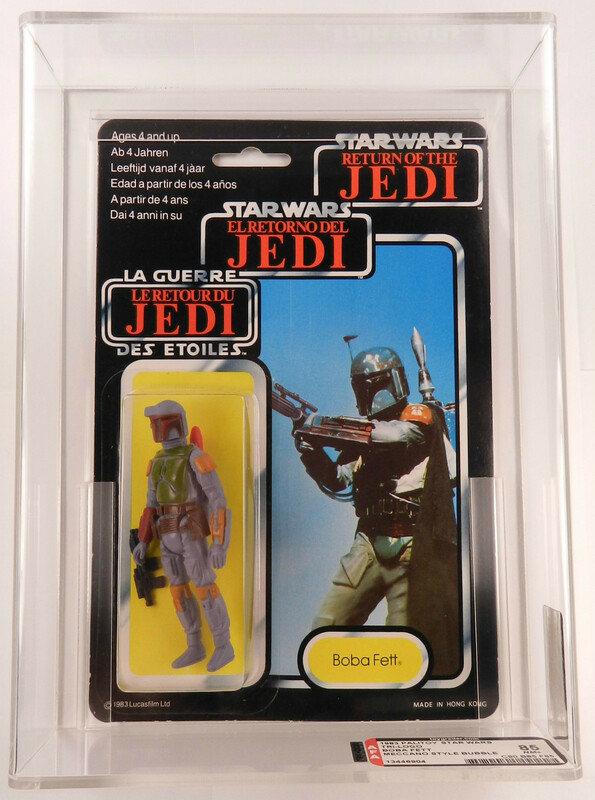 More auctions – more pieces are sold and available during the months of June-July and August than any other three month period during the year – even the holidays! 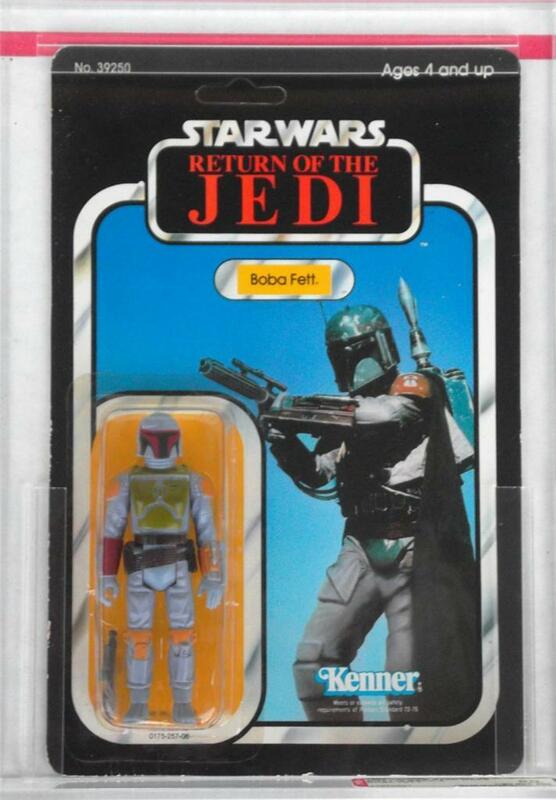 With those points in mind let’s review some of the super cool and rare items that hit the market this past month. 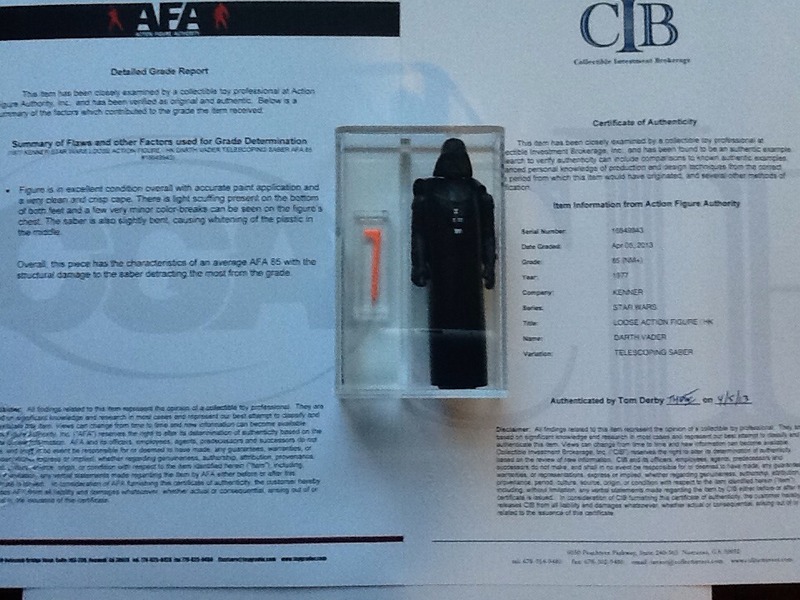 Starting off the month of June is a great auction for a DT Darth Vader. 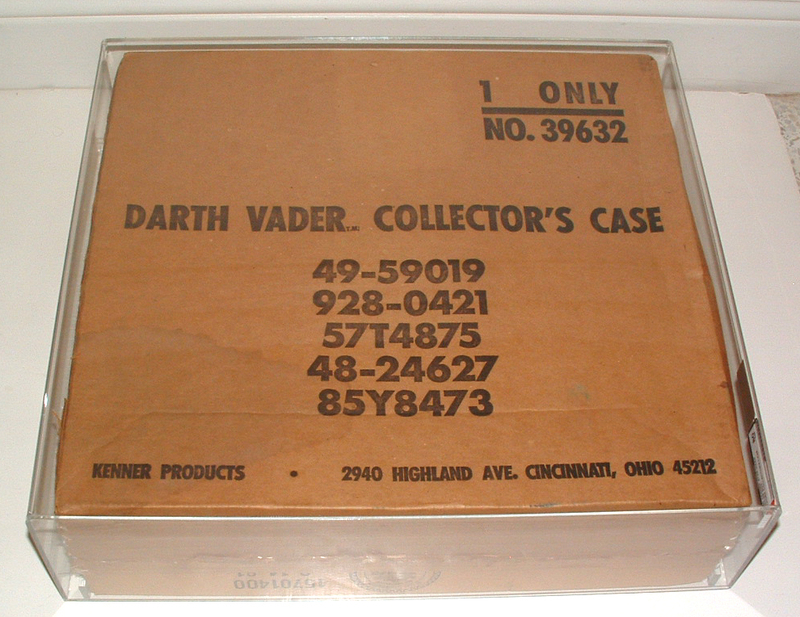 Unlike Luke the number of DT Vader’s is finite in total quantity available. 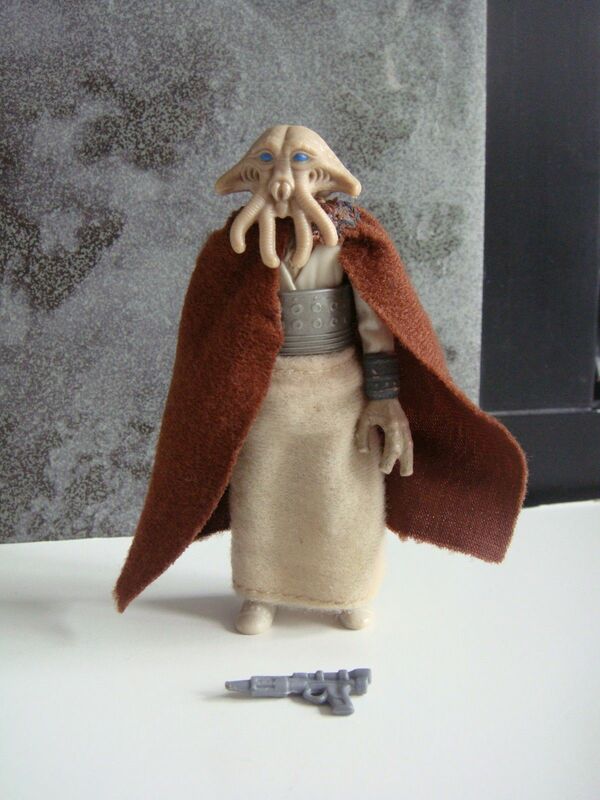 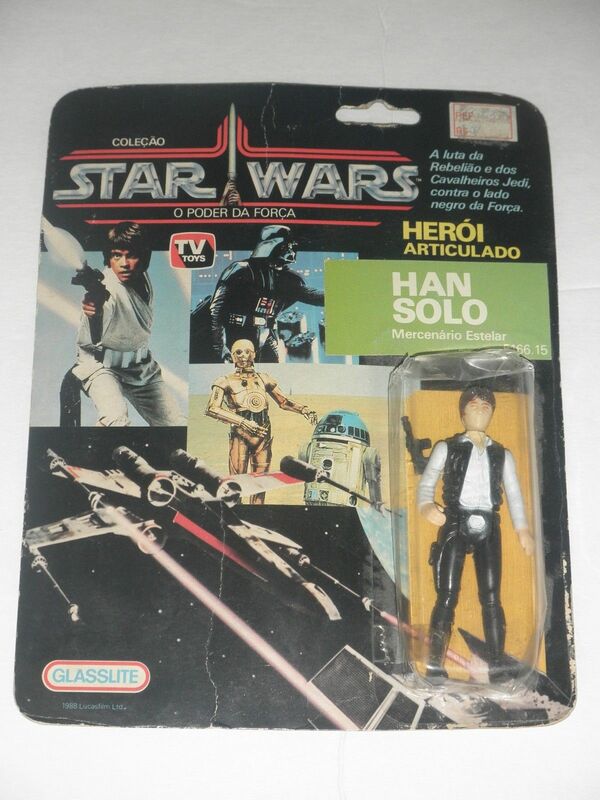 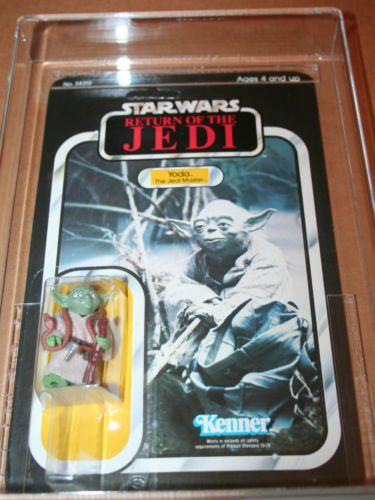 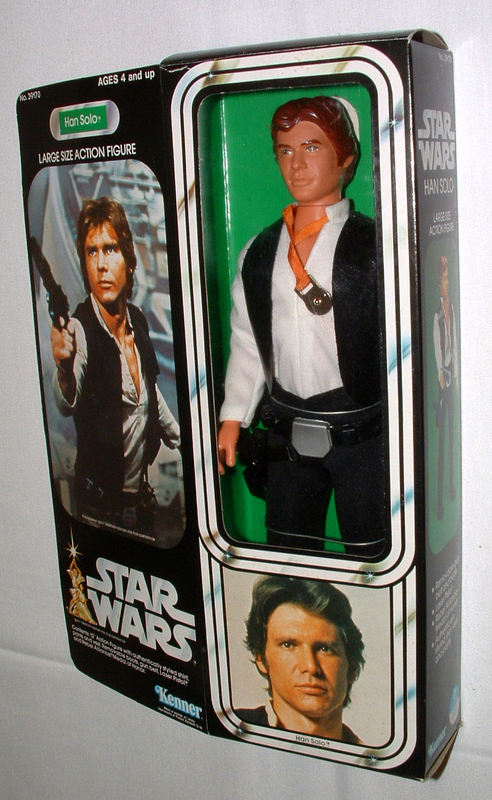 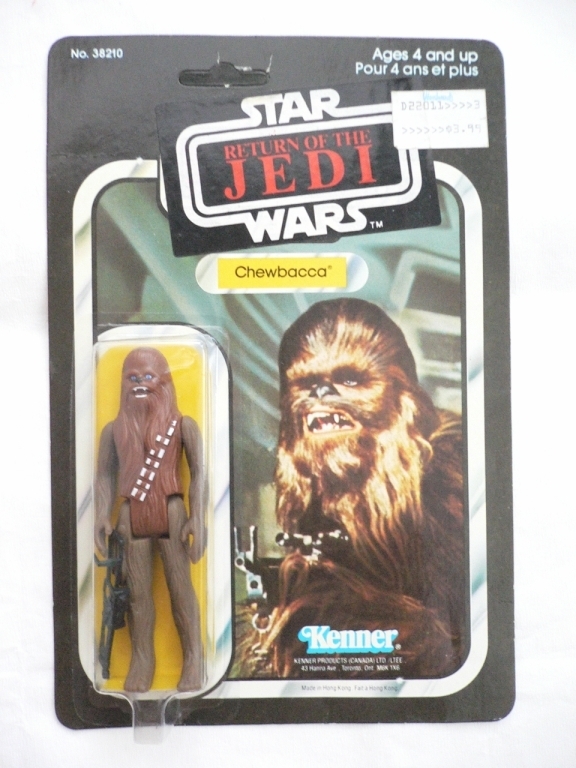 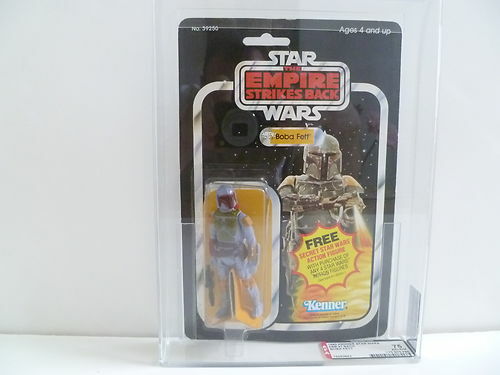 Only being released on a card back as opposed to the early bird mailer it’s truly one of the rarest loose figures in the Star Wars universe. 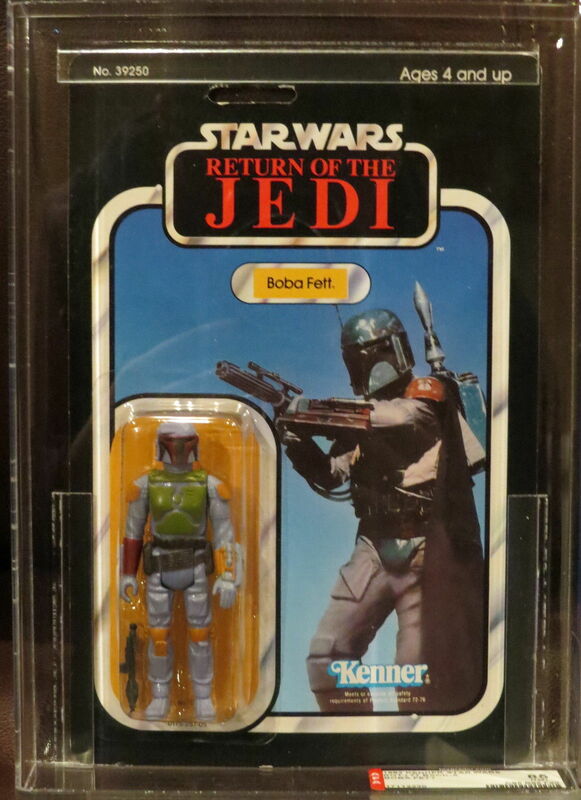 It’s something that you rarely see come upon eBay and thus when they are available they go for big dollars, much like this particular piece. 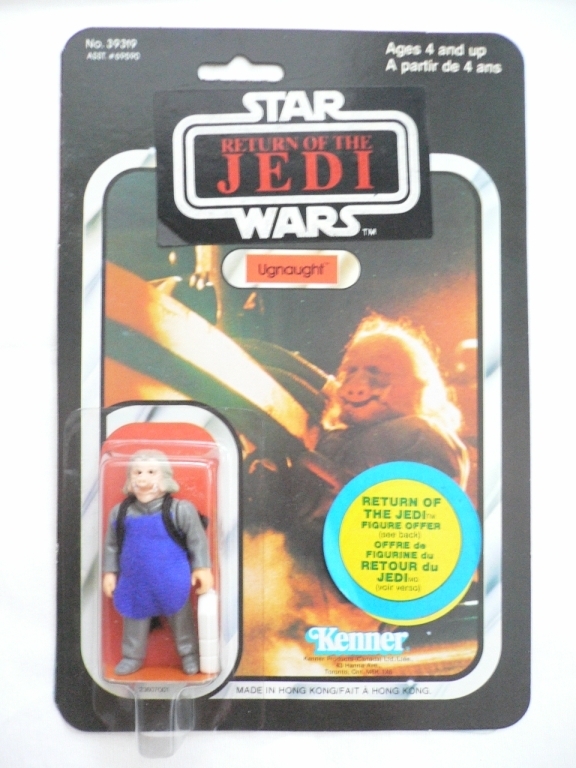 Moving from an extremely rare loose figure we now have ourselves an very rare carded figure. 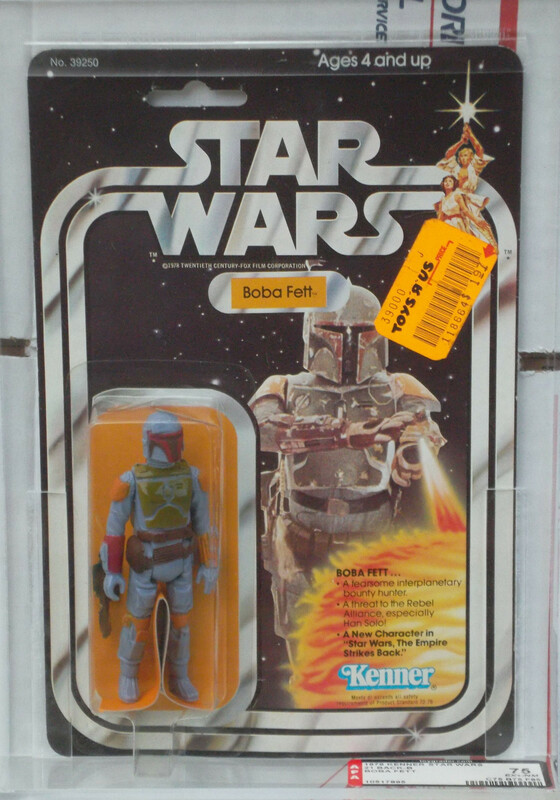 Boba Fett will always demand the most dollars for any character in the Star Wars universe regardless of rarity in a series. 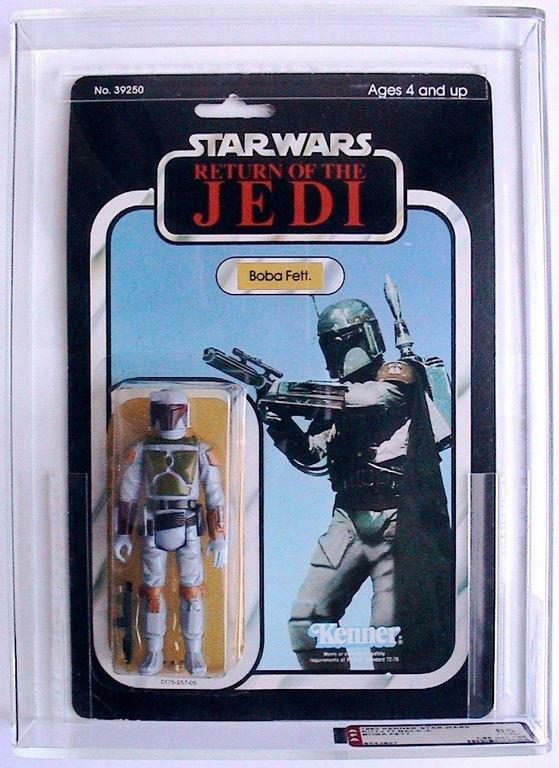 That’s why we see poor example ESB and ROTJ versions of the Fett man rise to the $500+ range consistently in the market. 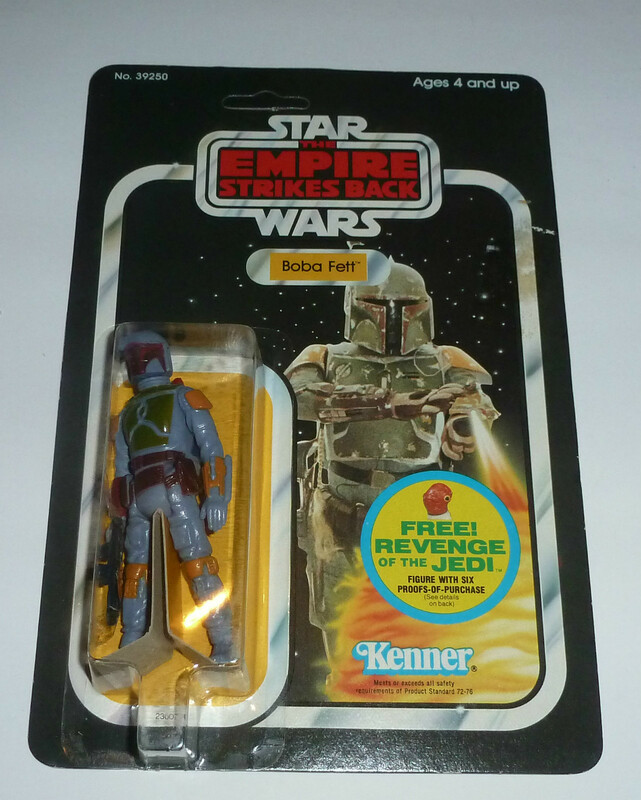 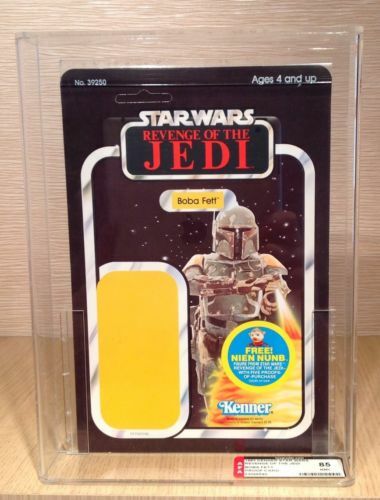 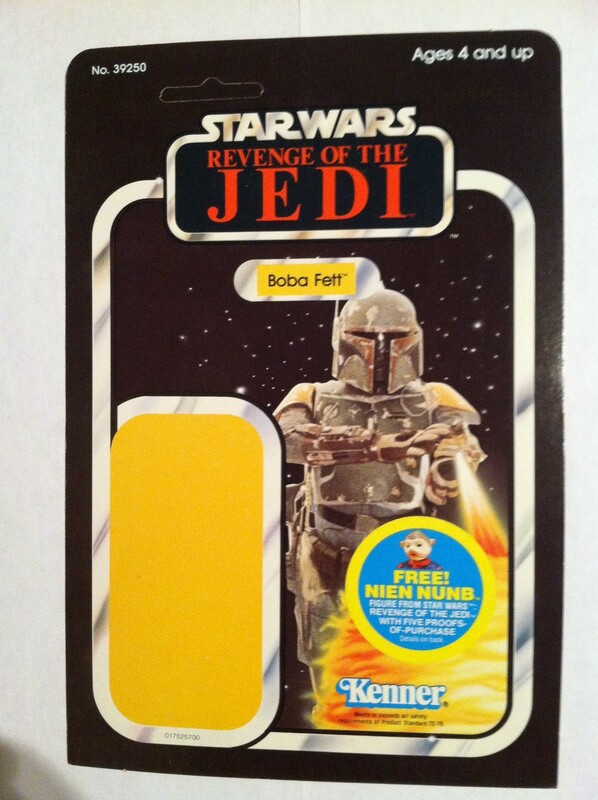 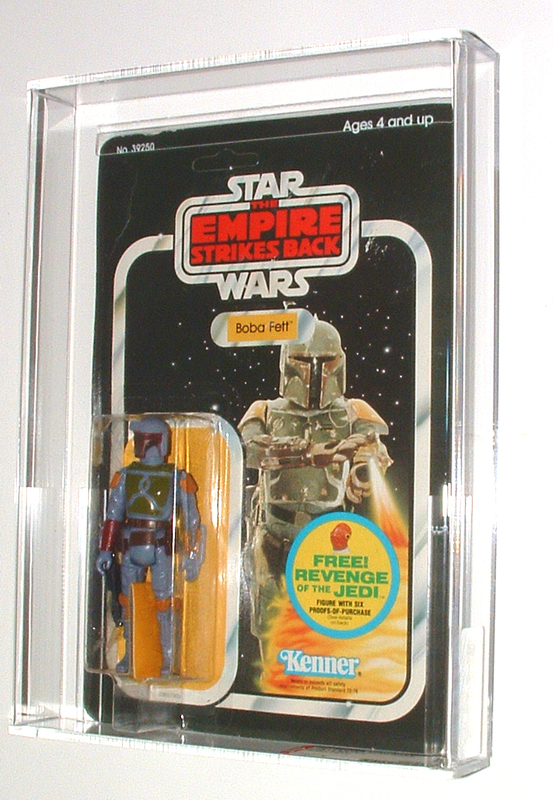 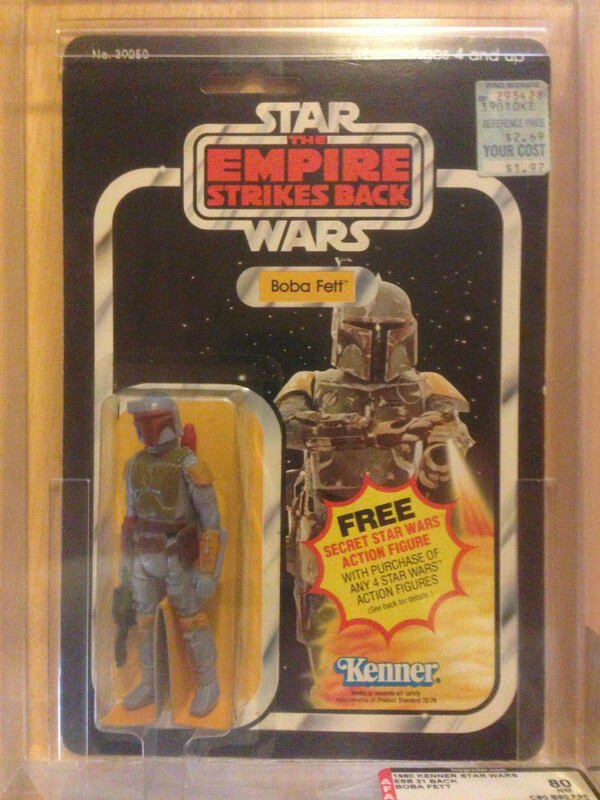 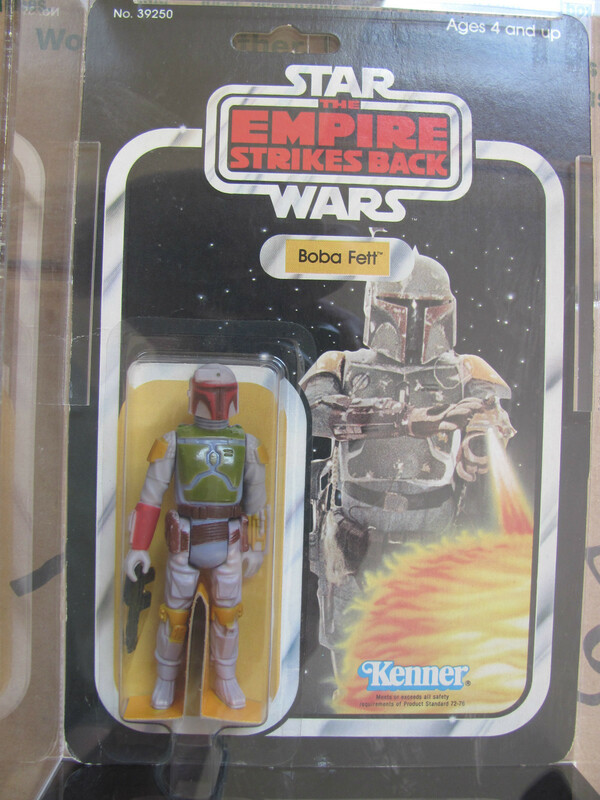 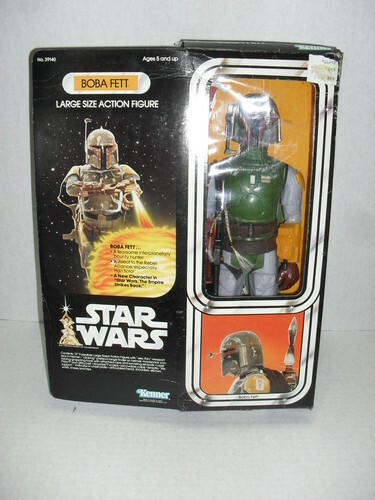 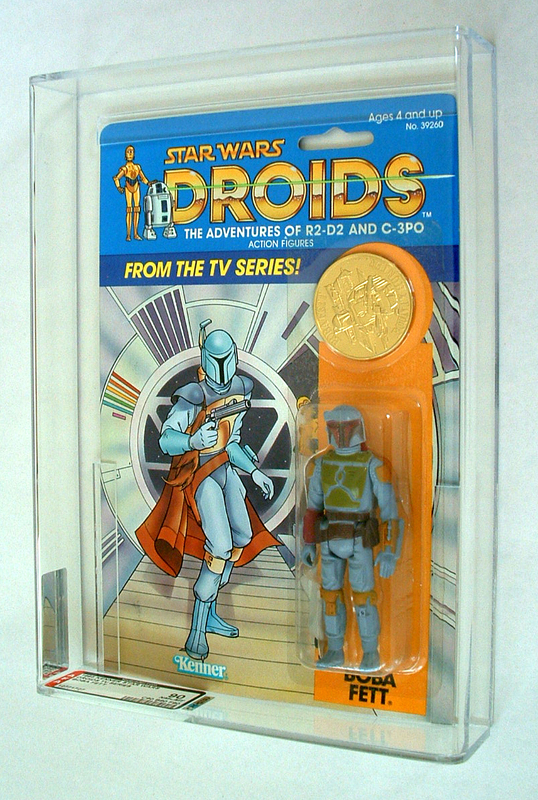 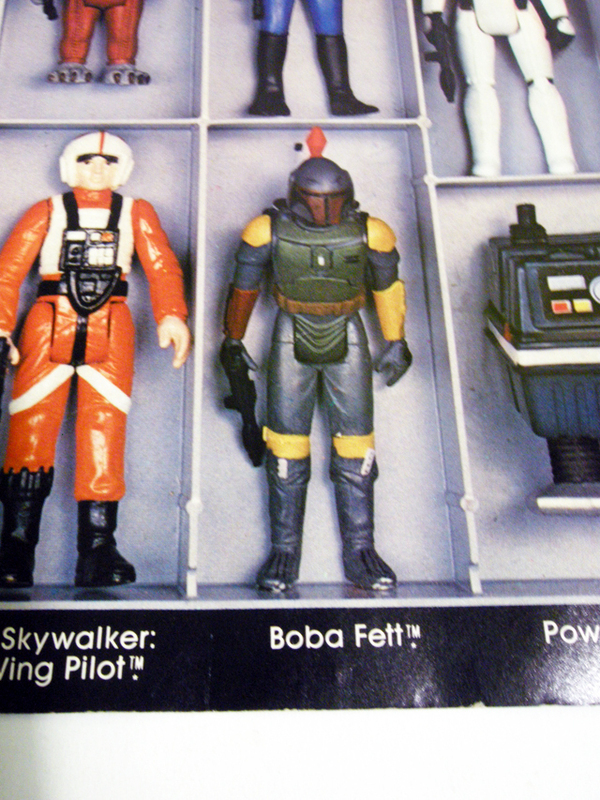 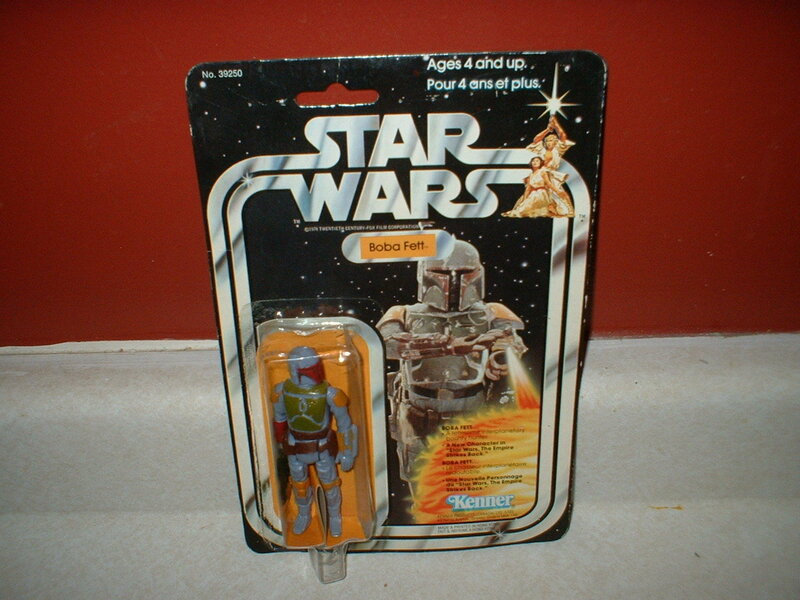 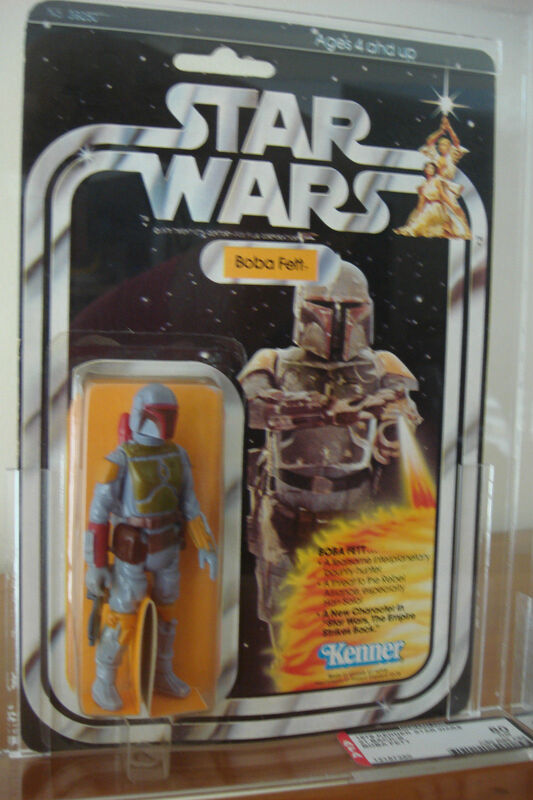 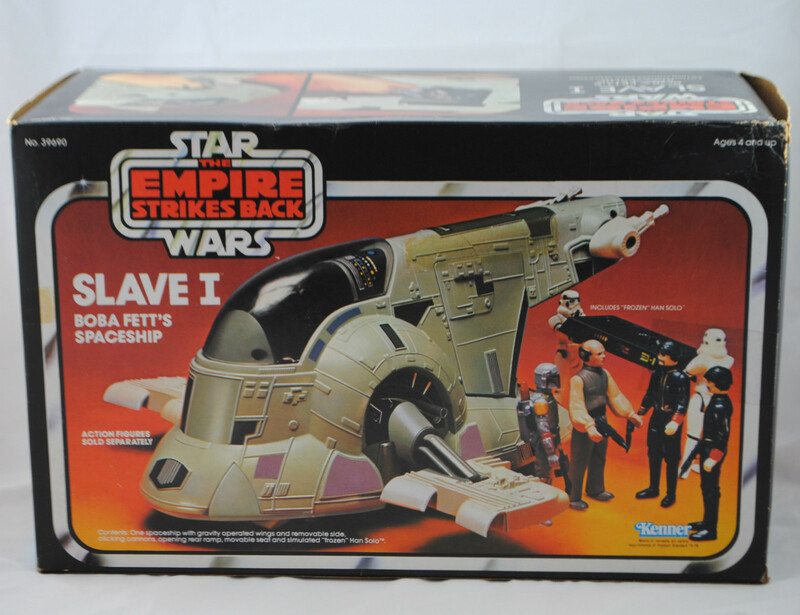 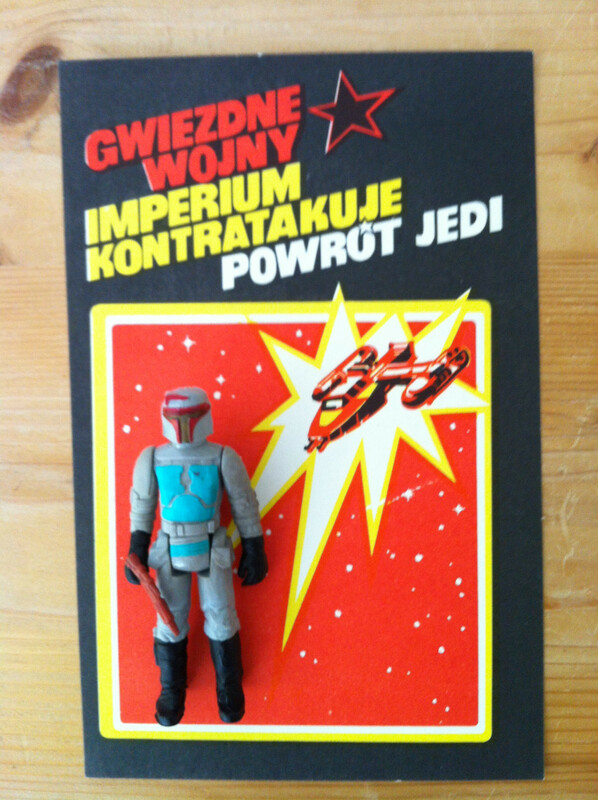 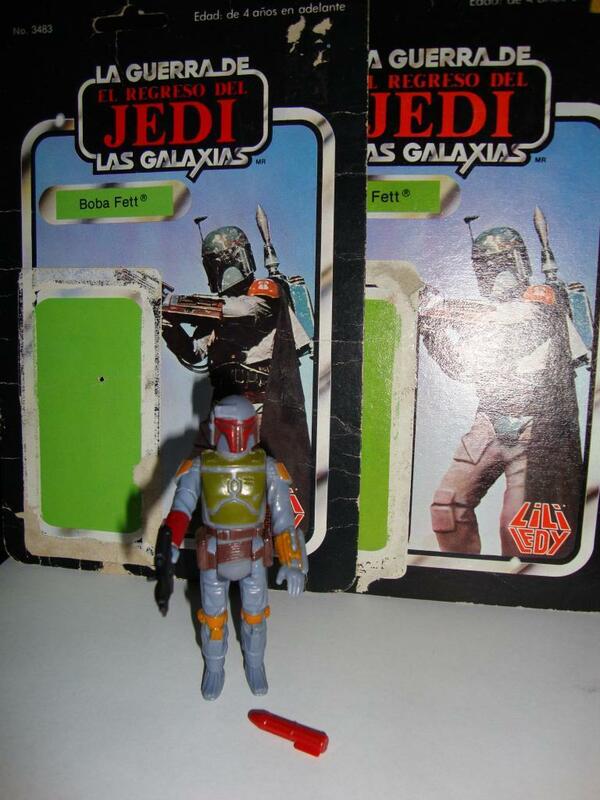 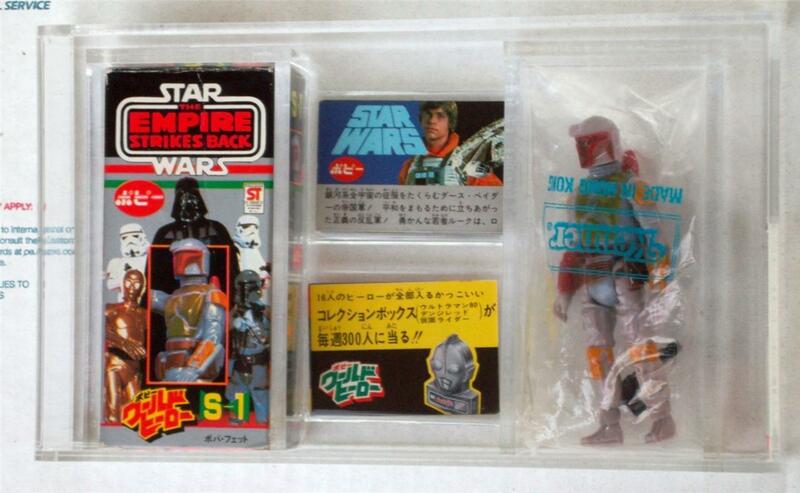 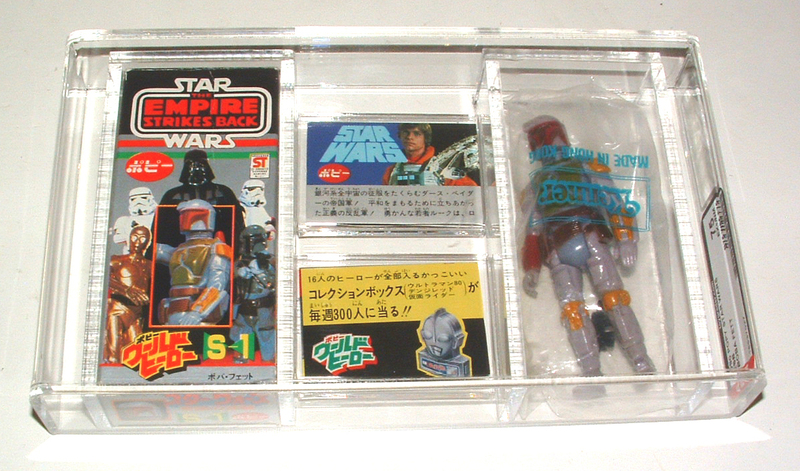 This piece is the creme dela creme when it comes to Boba Fett figures, seeing more demand than any other cardback in the Movie and TV series for the character. 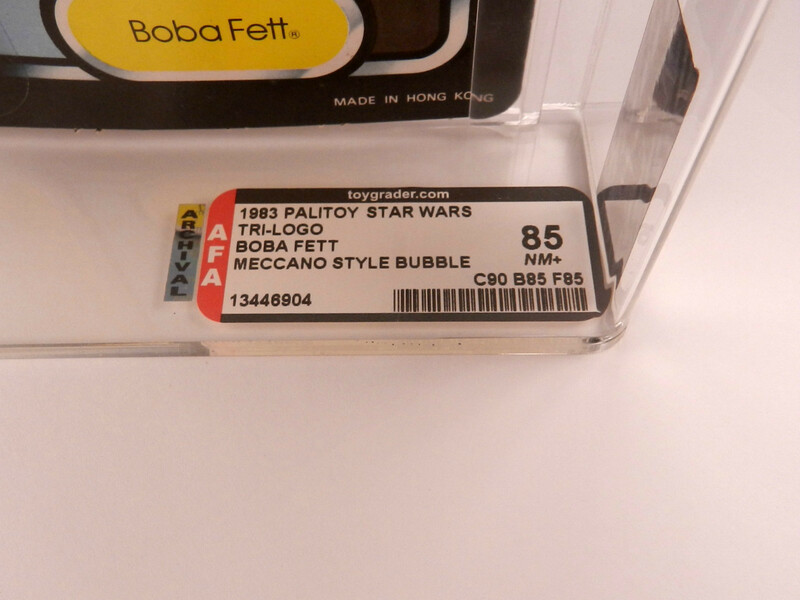 To top it off you have the absolute best example seen in recent years with a grade of 90 and a clear bubble. 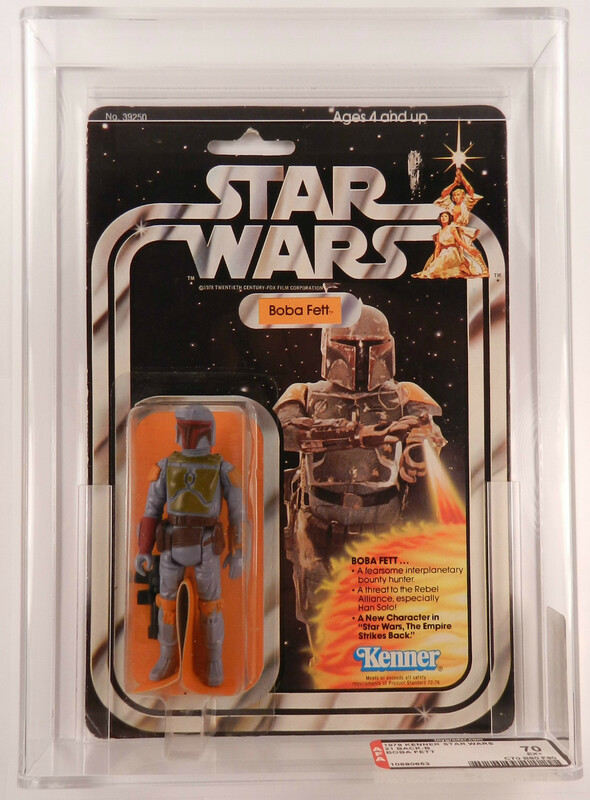 The clear bubble alone drives up the price of this piece $500-1000 in price if not more. 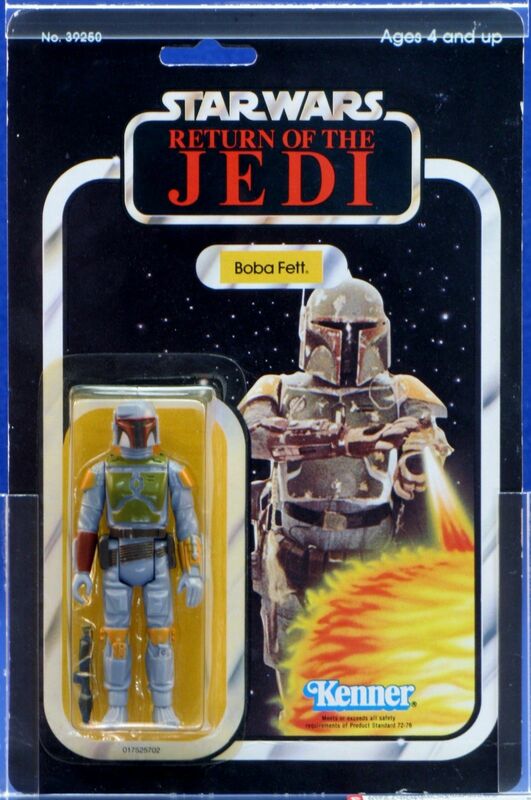 This is truly a stunning site for those that have seen tons of poor grade yellow bubble versions of the figure over the years. 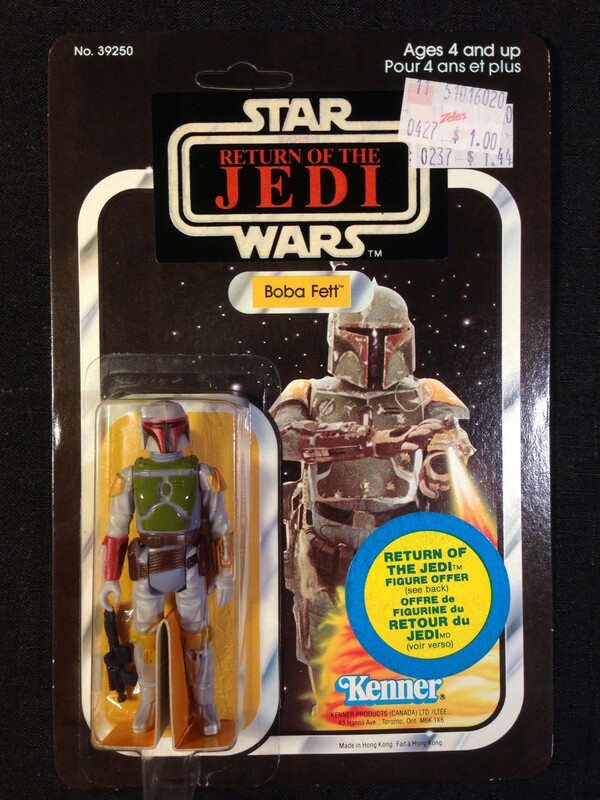 And to our enjoyment one actually came up this month, Droids Fett #2. 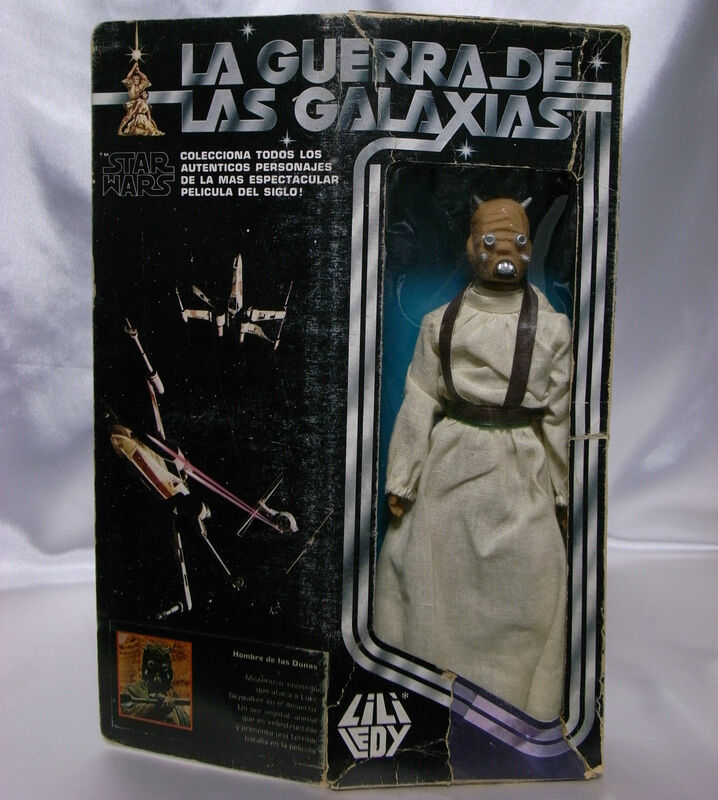 Realizing a price of just north of $4000 this piece shows that condition is truly a huge determining factor in the overall price of the an auction. 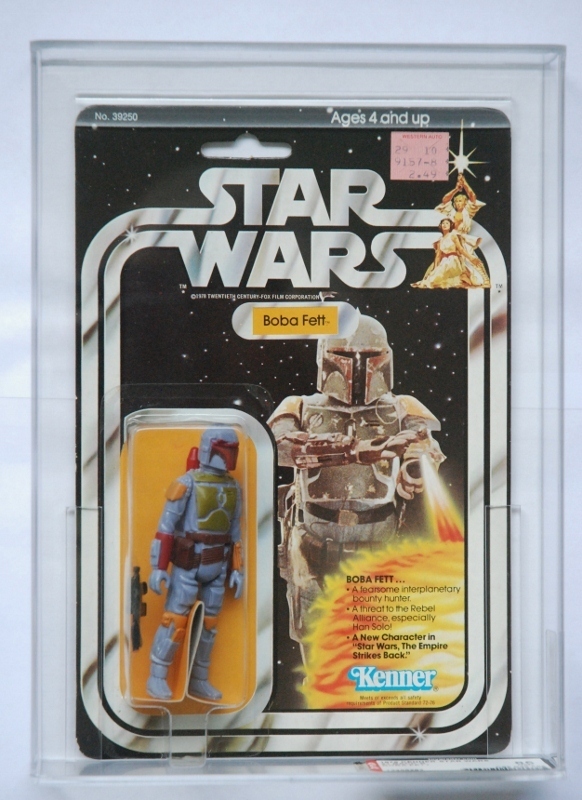 Here we see more than a doubling of the value just for a 15 point grade improvement and a clear bubble for an excellent example to a Mint example. 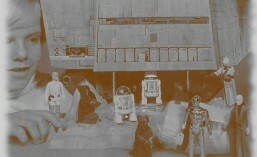 It just shows that those that want the best of the best are more then willing to shell out the dough to pick it up. 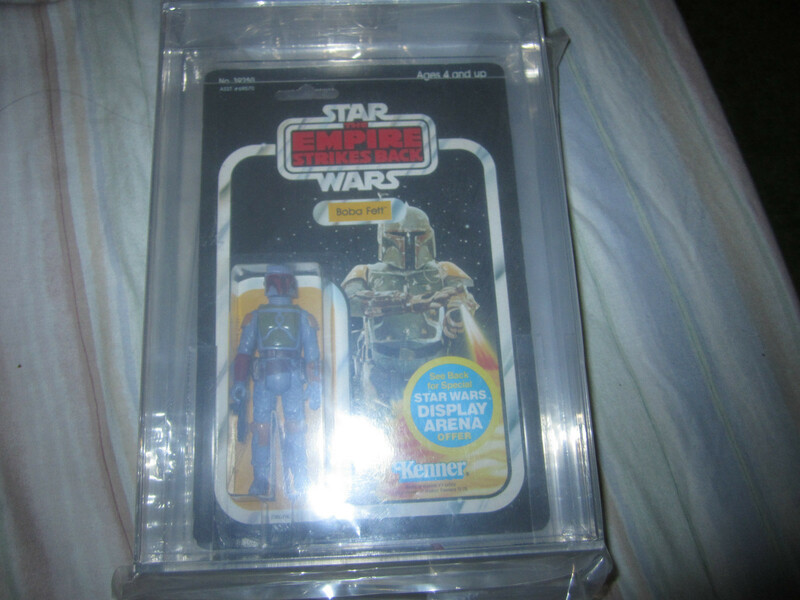 Is there that much variance between show prices and online auction price? 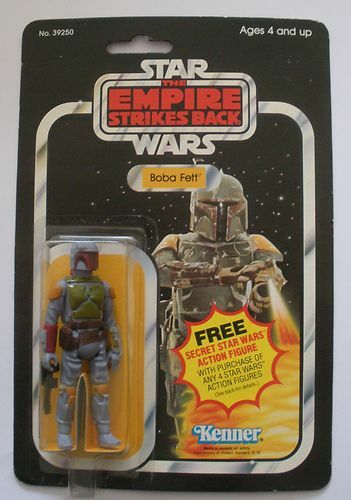 I always thought that shows were more expensive and deals were to be found through eBay, but given that he turned down a figure that sold for over $4K on eBay I’m not so sure this equation holds true. 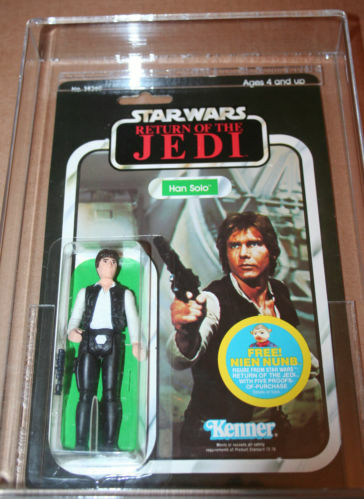 Is Toy Hunter a valid show for showing the value of items? 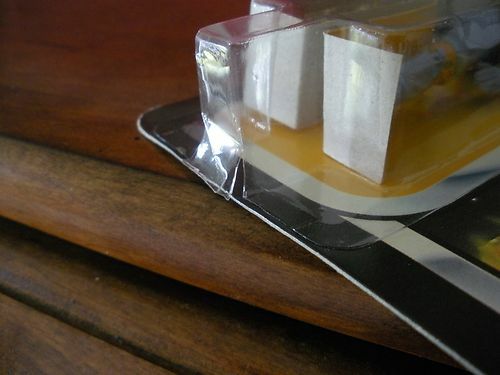 We’ve seen a few errors pop up, and some believe this is causing more damage to the hobby then good. 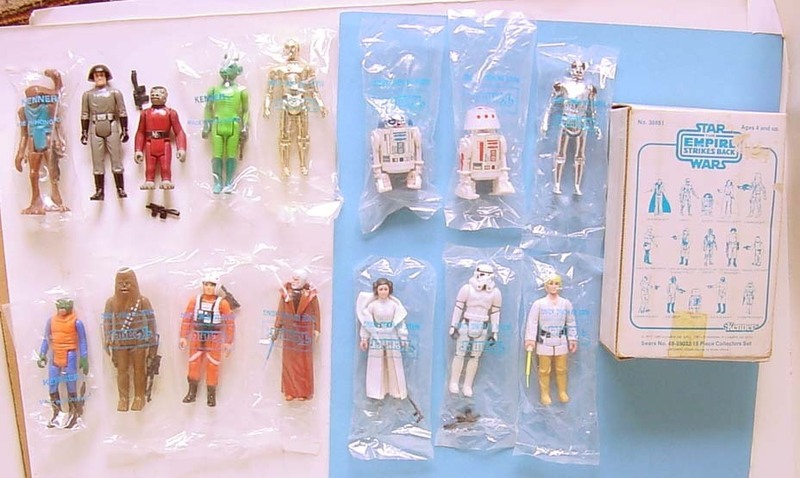 Well highlighting vintage is great under estimating prices is very damaging, especially for those that are new to the hobby and get a distorted view of product values. 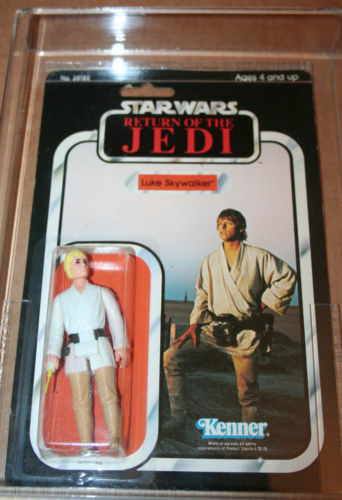 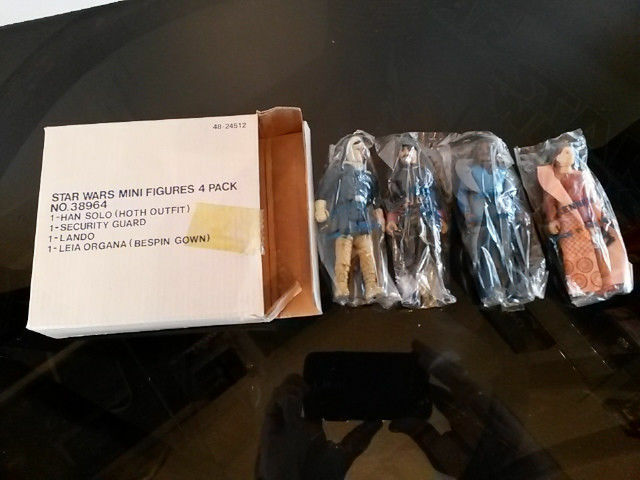 Over the past few months we’ve seen several of the Canadian ROTJ Transition figures come up for sale on eBay. 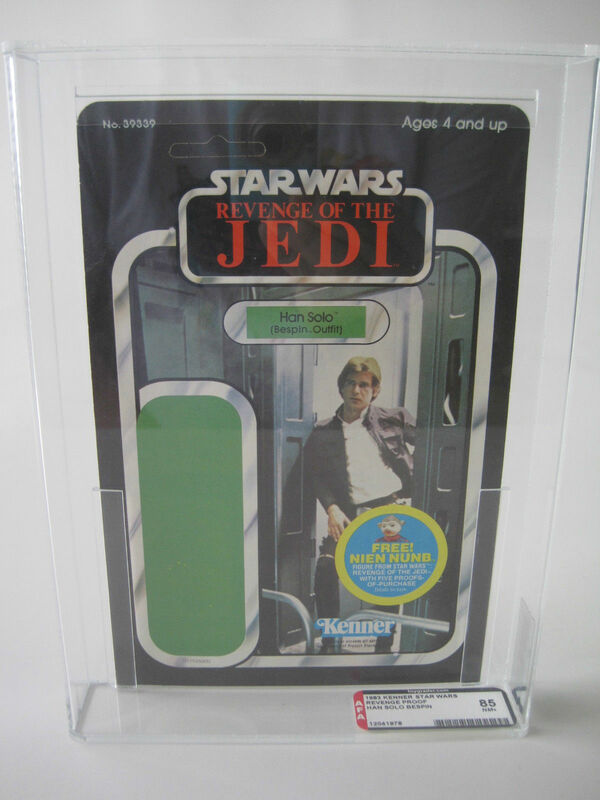 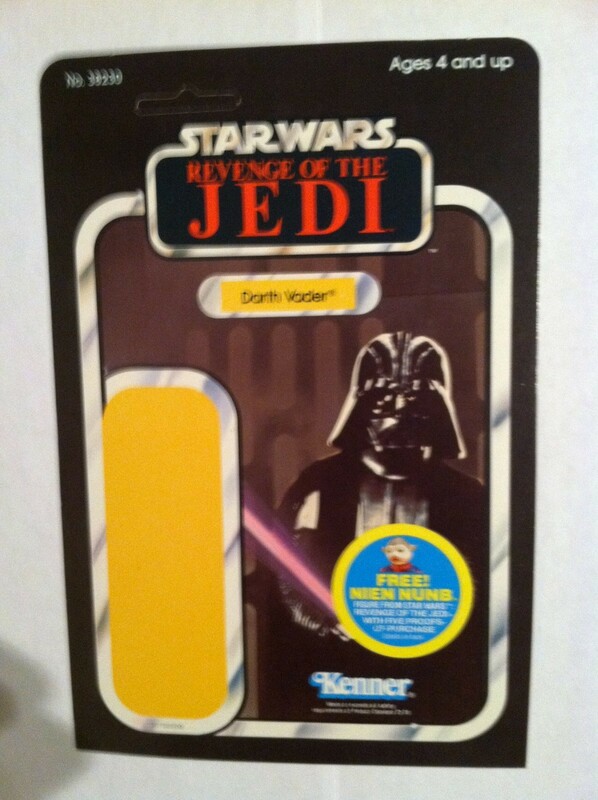 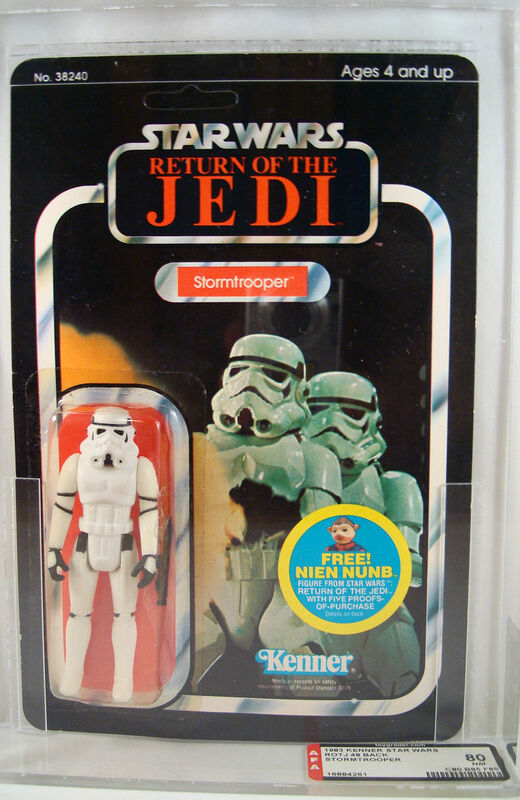 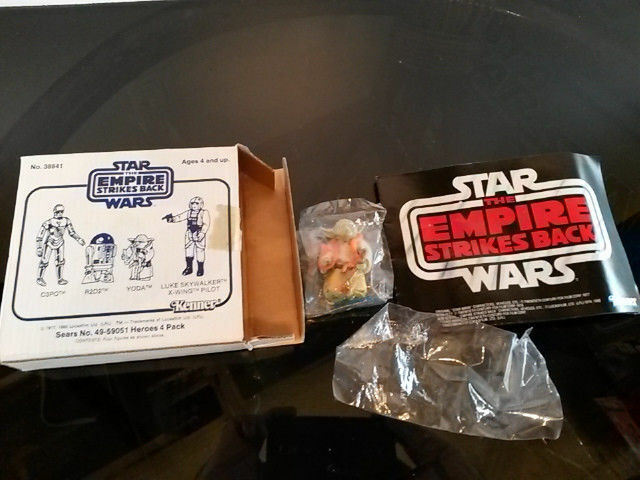 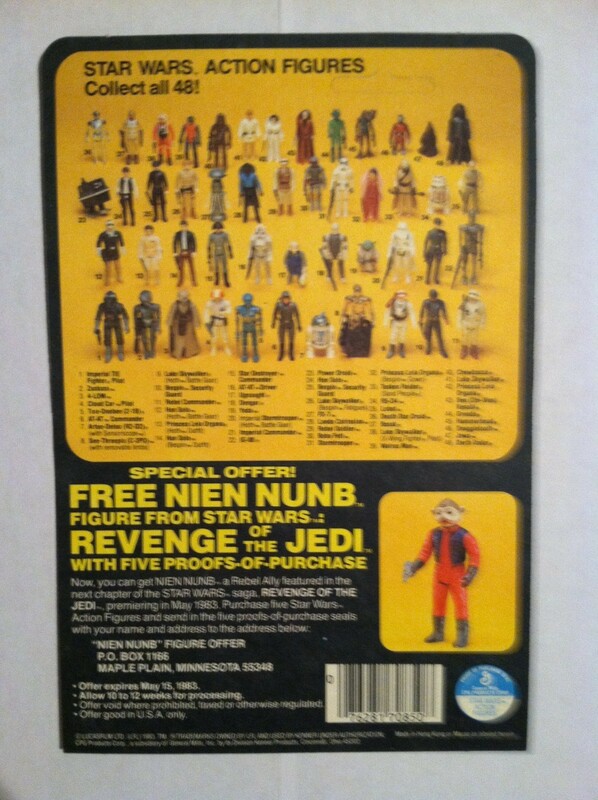 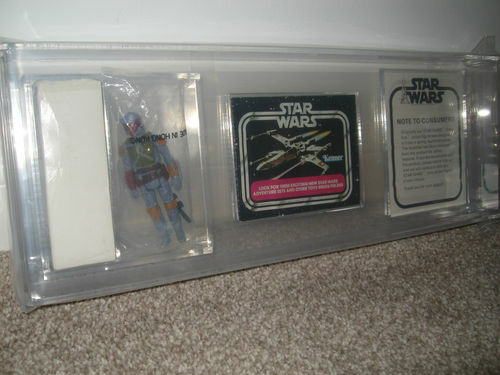 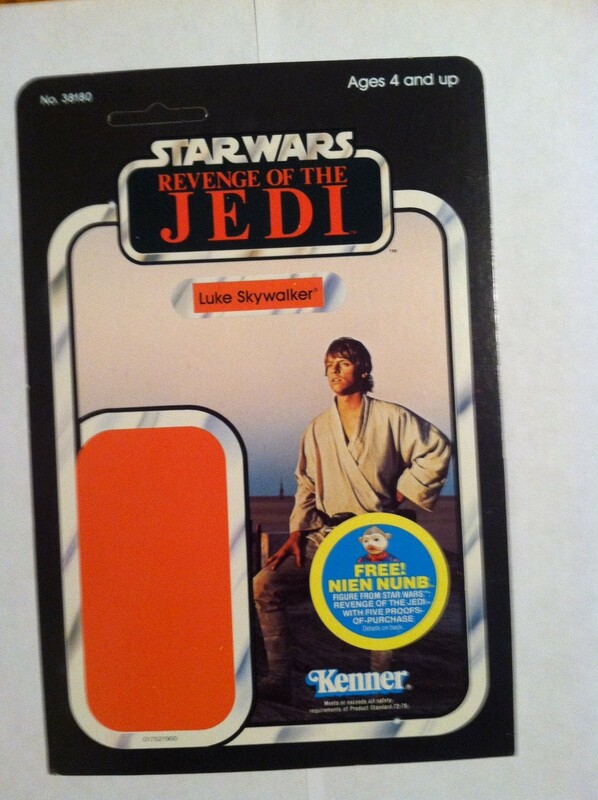 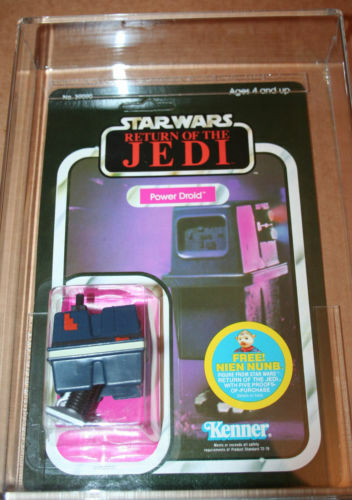 And why not after talking about ROTJ transition stickers a few months back on the Chive Cast Vintage Pod the segment of collecting is on fire with crazy prices realized and more in volume then we’ve seen in years. 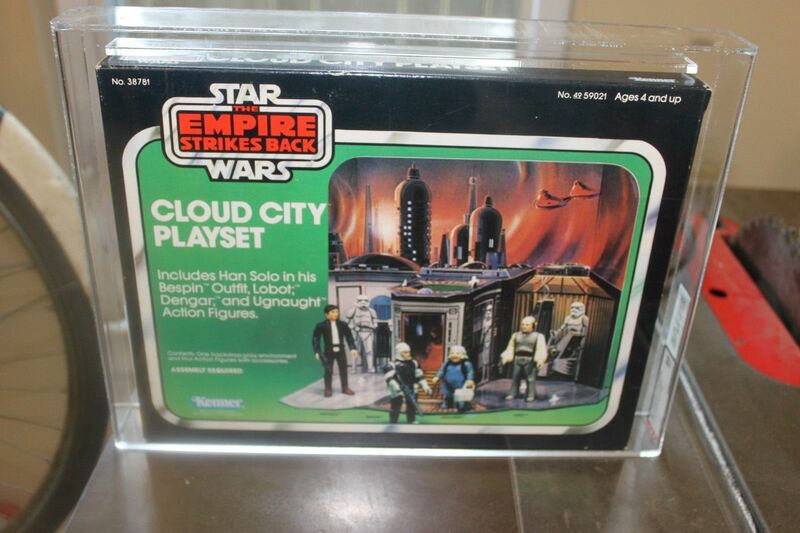 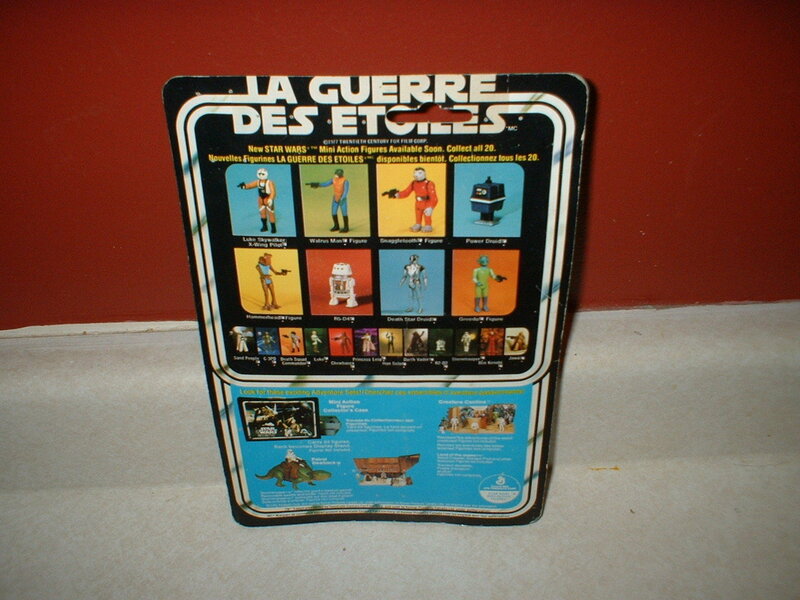 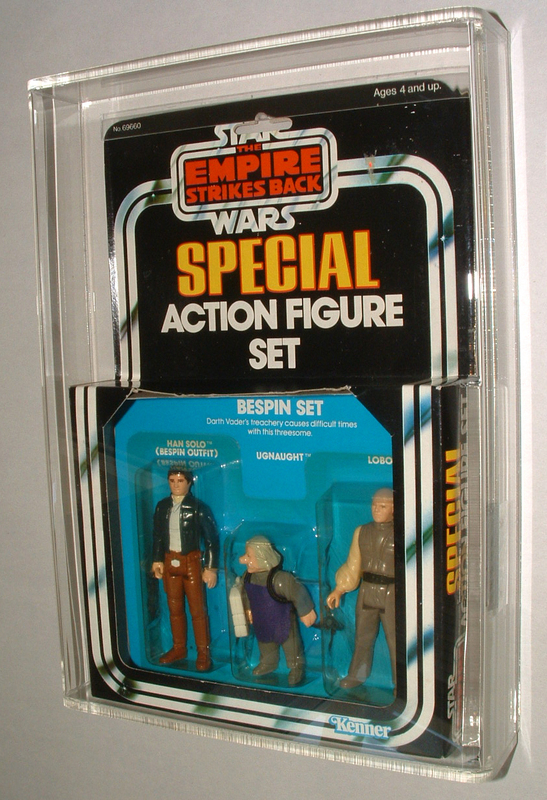 The stickers which were applied to ESB MOC figures in Canada create a unique looking MOC with a original look and feel unlike that of the ESB or ROTJ releases in Canada. 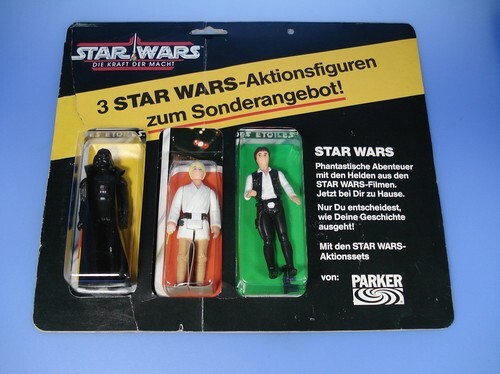 This month we have three great examples to showcase, rather than reviewing each piece I’ve given you some specifics and a link to each auction. 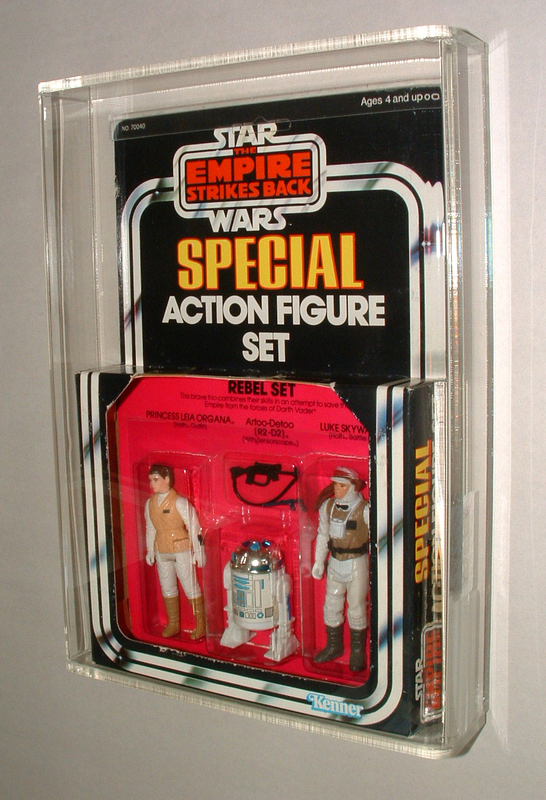 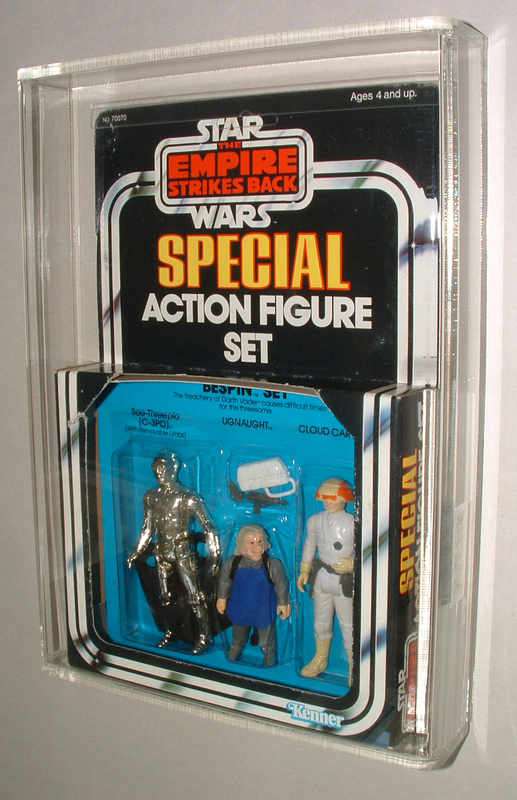 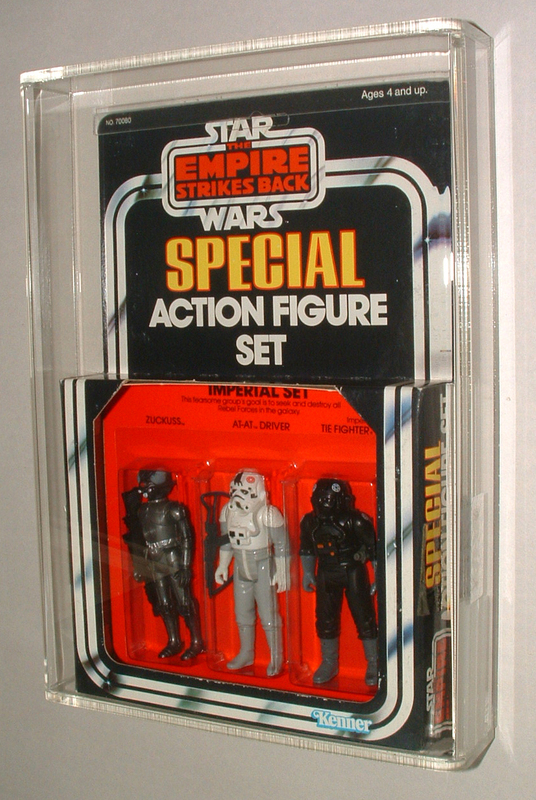 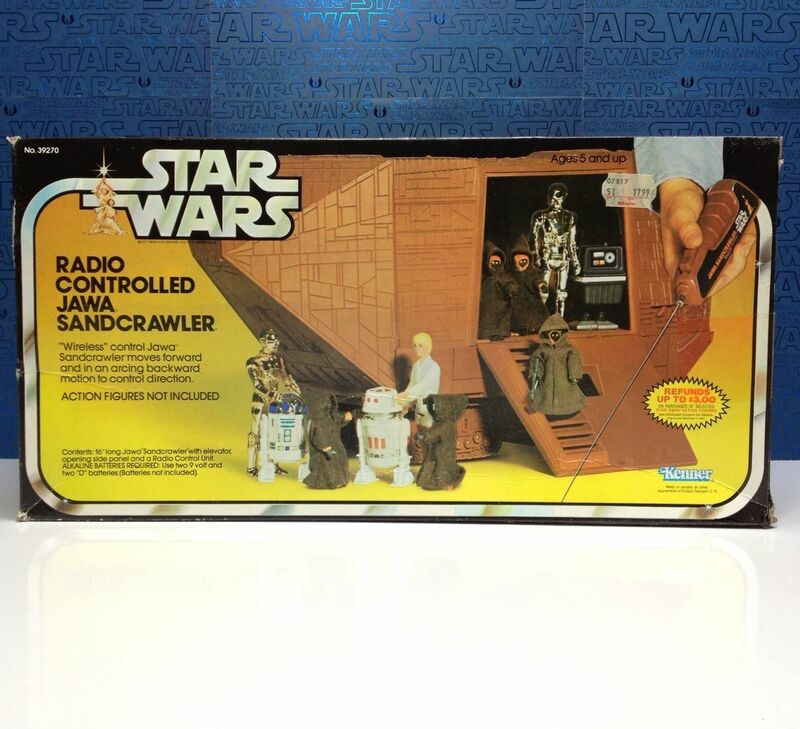 One of the staples on the MarketWatch the Star Wars and ESB Figure 3 packs are truly one of the most unique and sought after items in the Star Wars universe. 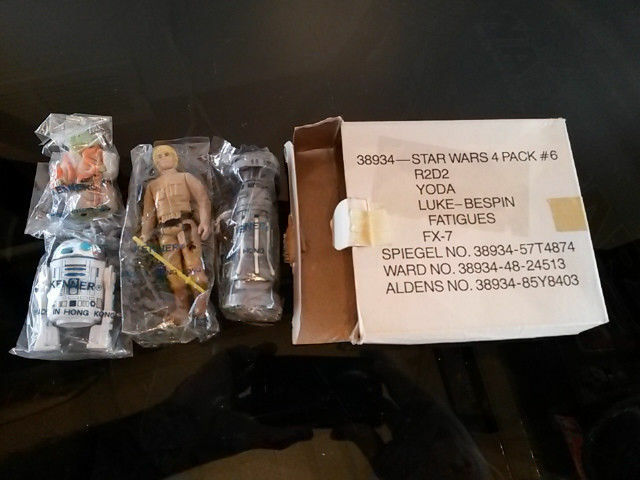 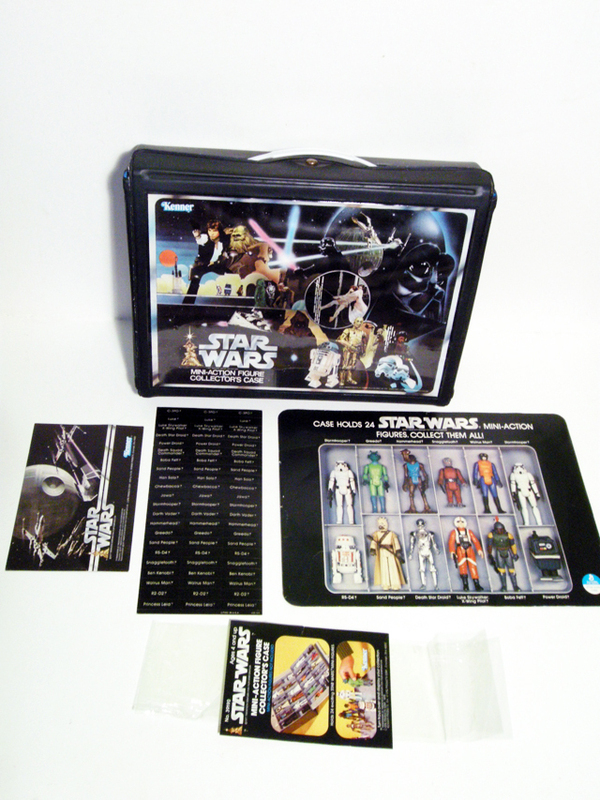 With 16 in all these items feature iconic packing with vibrant colors that coupled with their rarity puts them in a class of their own in the Star Wars collecting community. 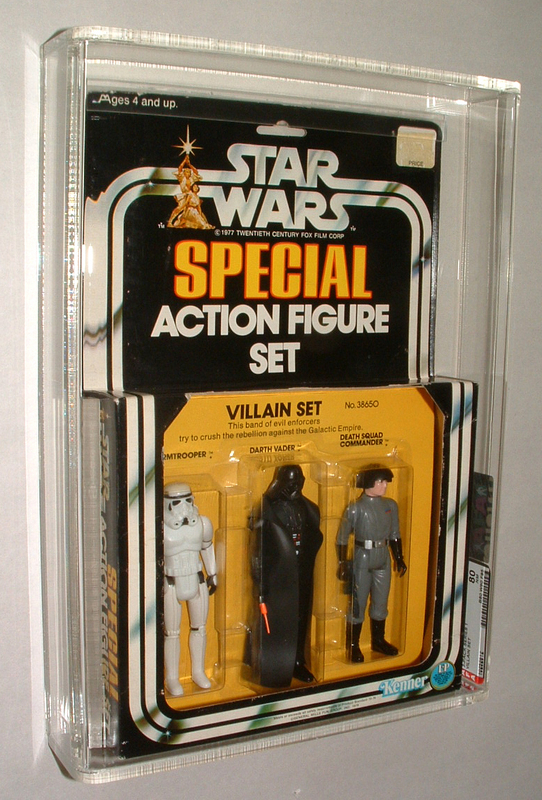 We’ve covered off so many of these sets over the past year, it’s hard to imagine that any slipped through the cracks and didn’t get at least mentioned on one of our MarketWatch segments. 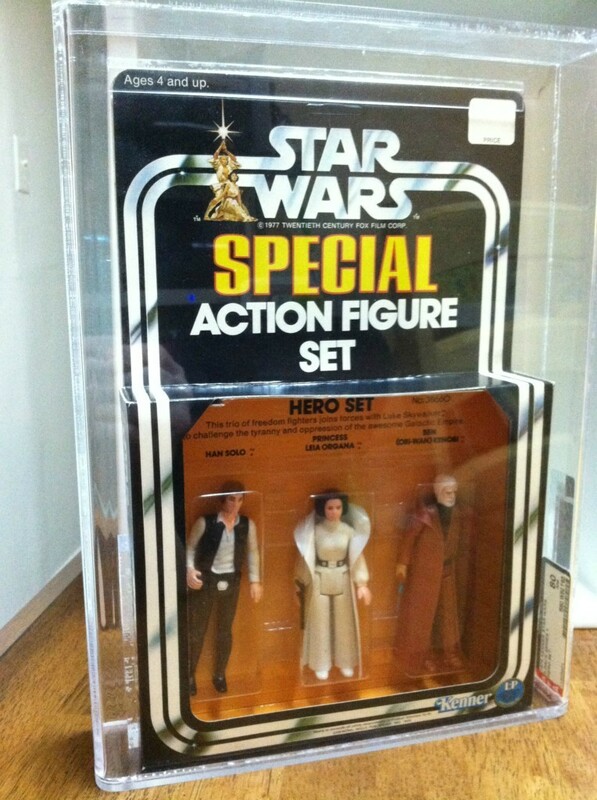 This month we have the pleasure of brining you 5 different sets of figures including the super ultra rare double secret probation Rebel, Imperial and Bespin Sets, all of which went for over $10K. 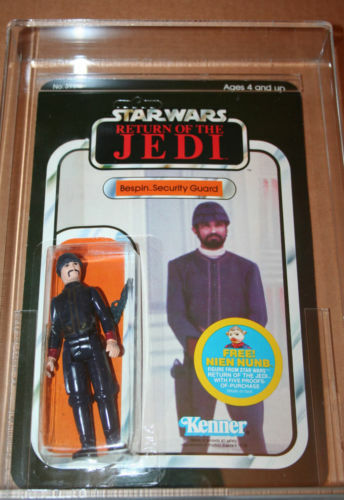 It’s times like this when I think back to hearing about Jeff Jacob purchasing the run for $60,000, and think man he got a great deal! 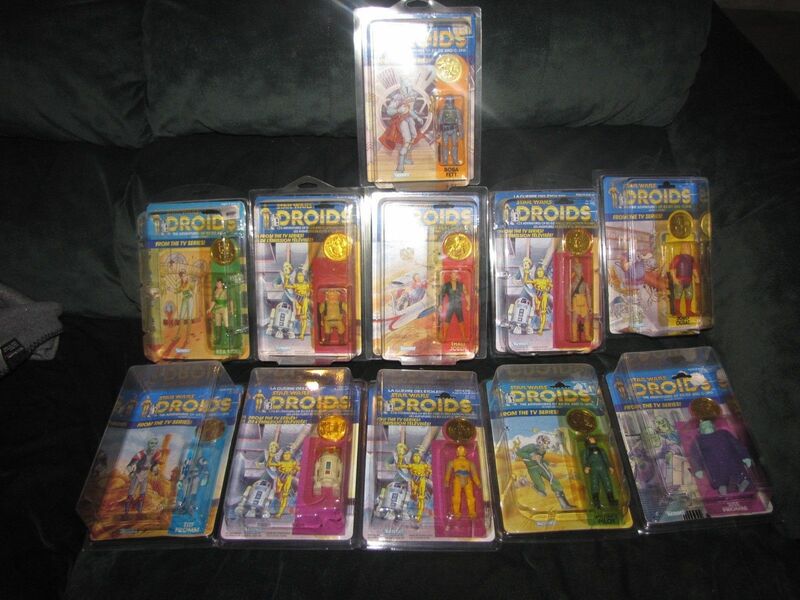 As we can see below the numbers have appreciated substantially over the years and I couldn’t see a set of these going for much less then $80-90K. 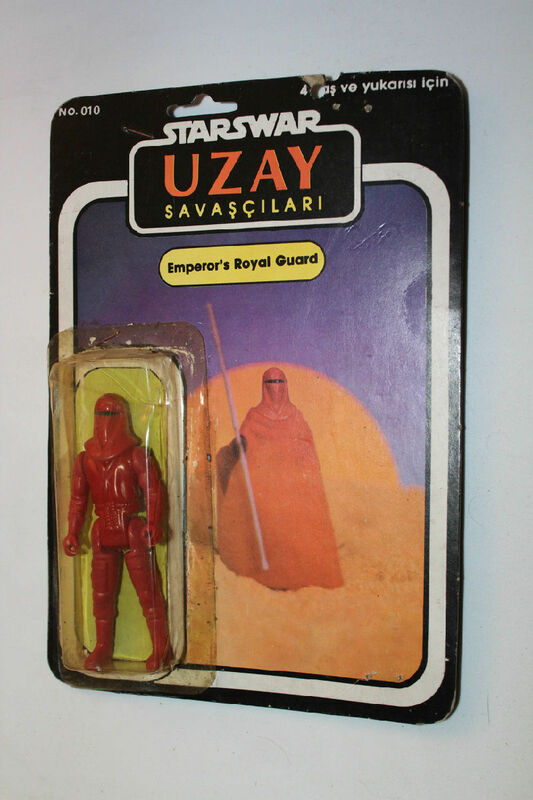 The fact that the picture of the Royal Guard shows the figure wearing a cape and holding a staff but the figure didn’t include the cape, or the staff. 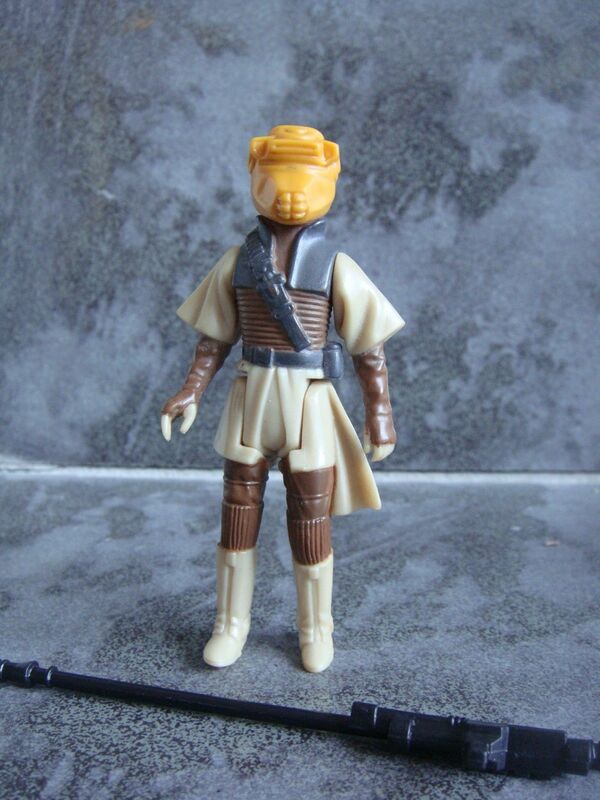 The fact that this figure is only Raiders colors away from being a Headman figure. 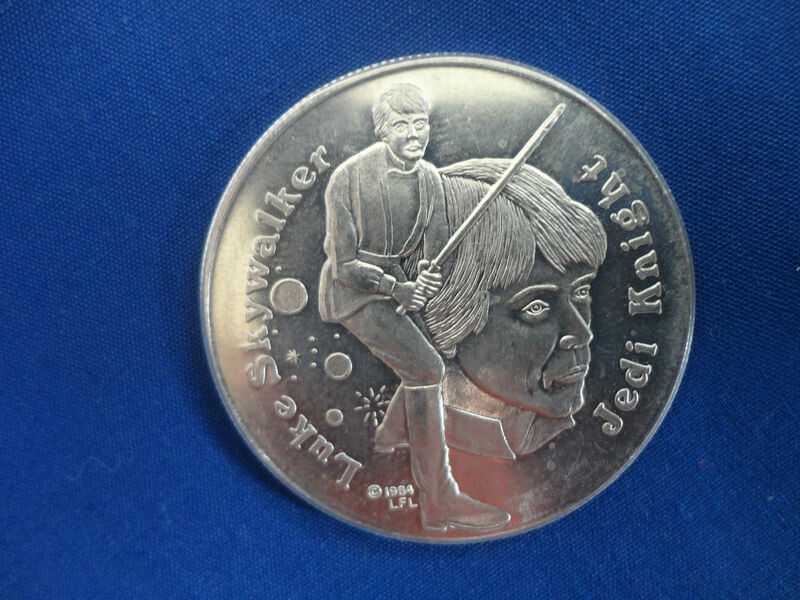 Whichever reason you choose this is truly a fun item to end our June MarketWatch with. 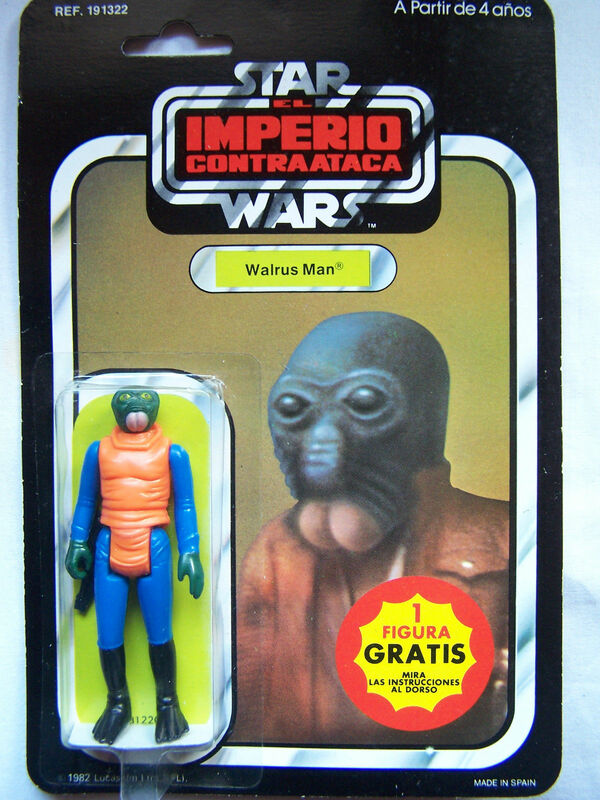 Until next time – Wampa Wampa!